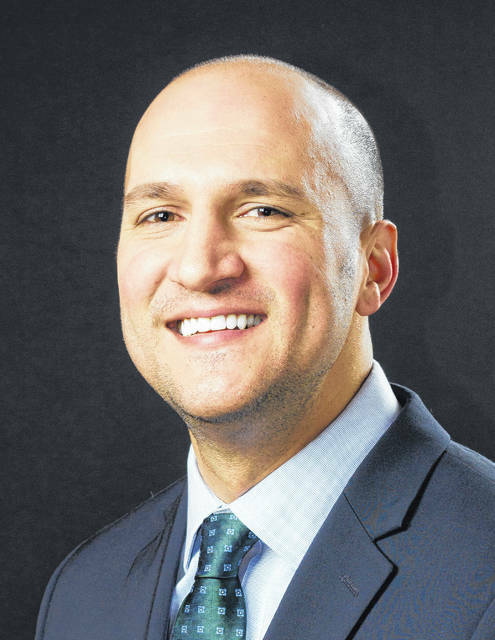 State Sen. Joe Schiavoni will address Delaware County Democrats next week during a stop on the campaign trail as he seeks to become Ohio’s next governor. Schiavoni will meet with local Democrats from 6:30 to 8 p.m. on Tuesday, Oct. 24 at the Delaware County Democratic Party headquarters at 12 1/2 Sandusky St. in Delaware. This is the first in a series of events sponsored by the Delaware County Young Democrats showcasing statewide candidates. Schiavoni is one of five Democrats that have officially declared their intention to seek the governor’s seat in 2018. The others are former State Rep. Connie Pillich, former U.S. Rep. Betty Sutton, Dayton Mayor Nan Whaley, and former Wayne County Commissioner Dave Kiefer. During a meeting in May with the Marion County Democratic Club, Schiavoni said education and jobs are each “a huge issue” for him. “I’m constantly pushing bills that would invest in job creation, invest in your technical schools, invest in your two-year colleges, invest in your four-year colleges, and link them to the business community so we have job-ready people,” he told Marion County Democrats. Schiavoni represents the 33rd Senate District, which includes Columbiana and Mahoning counties. From 2013 to 1016, he served as the Democratic Leader of the Senate. In 2008, he was appointed to a vacant seat in the Ohio Senate. He was then elected to a full, four-year term for his Senate seat in 2010 and re-elected in 2014. According to a press release issued by the Delaware County Democratic Party, he helped lead the fight against Senate Bill 5, that would have stripped away collective bargaining rights for Ohio’s public workers. Schiavoni has fought to bring job creation and economic development to communities across Ohio. Schiavoni grew up on the south side of Youngstown before moving to Boardman, where he graduated from Boardman High School. He won the Golden Gloves boxing tournament in Youngstown in 1995. He received his bachelor’s degree from Ohio University. He spent his summers working at a butcher shop in Boardman. He then earned his law degree from Capital University. Following in the footsteps of his grandfather and father, he went to work representing injured workers at the law firm Schiavoni, Schiavoni, Bush and Muldowney. Schiavoni and his wife Margaret, a nurse-anesthetist, reside in Boardman with their young sons, Louie and Dominic.